Op zoek zu ökologische Reisen in Russland? 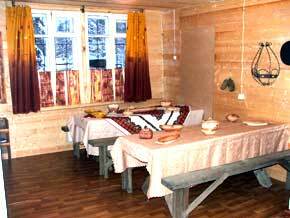 Lumberjack guesthouse "Yolki-Palki" is located in old wood workers village Oktyabrsky - 35 km east from Kirovsk city close to Khibiny and Lovozero Tundra and surrounded by forest. 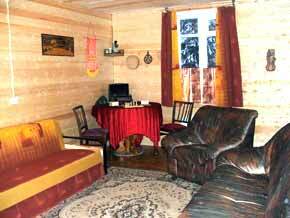 The wooden guesthouse has 11 rooms: 8 double, 2 triple, 1 single room, big dining room and kitchen. Washing room with hand-washers and toilets are in the corridor. 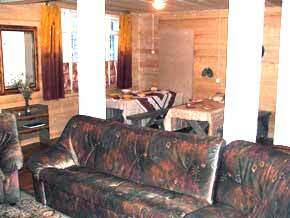 In winter 9 big woodstoves keep the guesthouse warm and every room has an electric heater your convenience. A big sauna is located in the garden. 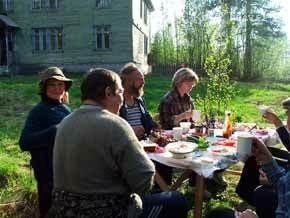 Oktyabrsky village has an old system of providing drink water; small water houses (kalonky) with running water on the corners of the streets. 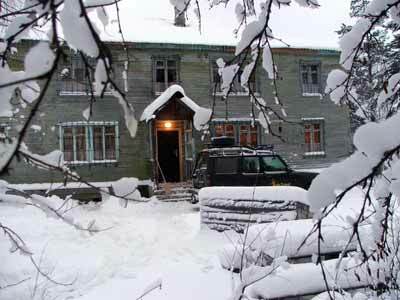 The guesthouse is used by guests for family or holiday celebrations, summer and winter holidays, or just for staying far from the civilization noise. Sleeping in this wooden house is deep and quiet. In summer morning birds start their signing, and on the attic a squirrel family lives. Guests can cook by themselves in the kitchen or it’s also possible to have cooking services from our experienced cooker. The same about the sauna. For heating up the sauna we use a big woodstove. On the stove is a big water pot for hot water and the chimney heats a water reservoir for the shower. Sauna is benevolent for body and soul, but not only when the sauna is warm, also the process of heating up and preparation is nice to forget the daily businesses at home or work. 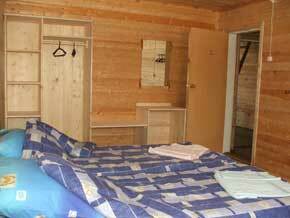 That’s why many guest like to help also to prepare the sauna. Enjoy your second home on the Kola! 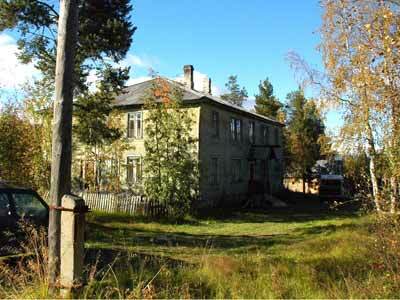 For more info about guesthouse 'Yolki-Palki' ? >>info@kolatravel.com!